The University of Oxford takes home the coveted CIBSE prize. 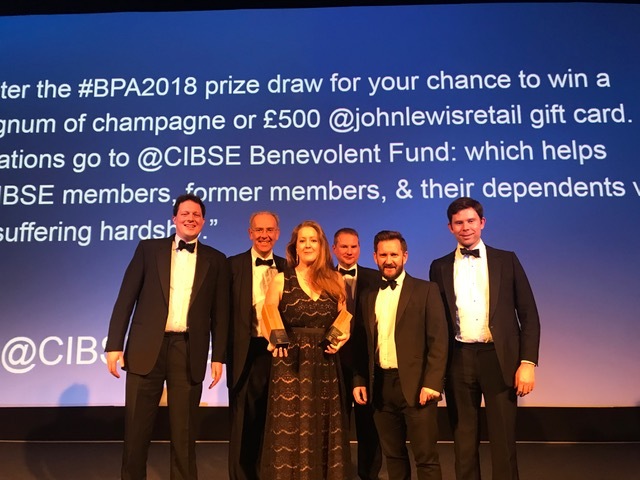 We are delighted to congratulate our long-standing client, the University of Oxford, on a fantastic double win at last night’s 2018 CIBSE Building Performance awards. The University’s ambitious Carbon Management Strategy was the star of the evening – first winning in the Facilities Management Team category, and then rounding off the night with the coveted Building Performance Champion title. The Carbon Management Strategy has an impressive, and simple, overarching aim: to reduce the University’s direct carbon emissions by 33% by 2020 against a 2005/6 baseline. As consultants to the programme’s project team, we have optimised more than 30 of the University of Oxford’s buildings, delivering some significant savings. We are proud to have assisted the University in being recognised for its long-term commitment to energy and carbon management. Trailblazing the way for higher security standards. Lighting the way in Lincoln.